It’s time for the second in our series of trip reports from more unusual weekend breaks. This time we were a little closer to home (home being Trondheim in central Norway) at Oppdal – a world class ski resort and popular summer destination for adventure sports enthusiasts, hill walkers and climbers. 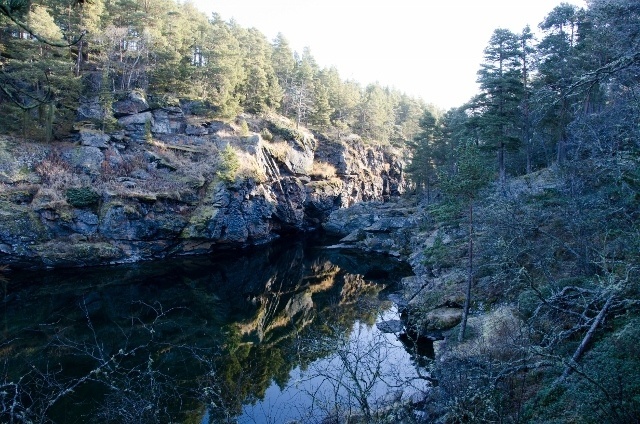 It’s also a natural place to stop on the road south to Oslo if driving further. Again we wanted to have enough to do from Friday to Sunday for all of us. 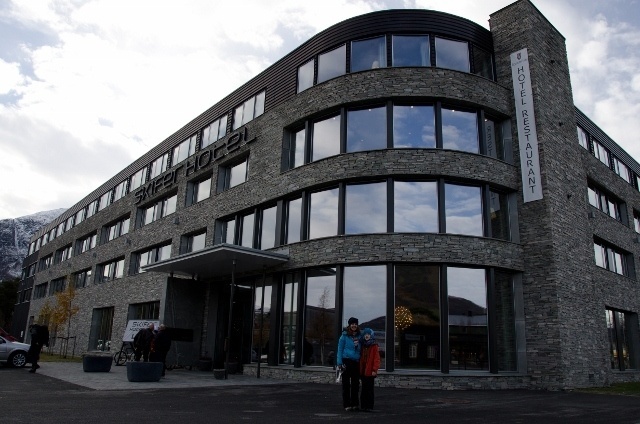 I contacted the Skifer Hotel which is Oppdal’s finest and the manager there was kind enough to invite us to stay for the two nights in a family room in order to review the property and also managed to arrange a couple of activities to demonstrate what you can get up to in town. Again the plan was to leave town after school on Friday and return on Sunday afternoon/evening with enough to do to keep us all occupied while away. This time it was just the three of us travelling so it was important that we were kept busy. 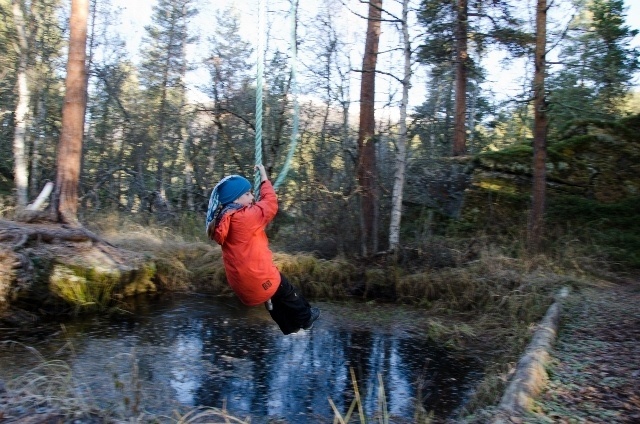 Oppdal had been on our radar for a long time, both as a summer and winter destination. Indeed we had planned to visit last winter but had to cancel at the last moment after Rebecca hurt her ankle. I had wanted to test out the bike park but this has now been closed down (apparently it wasn’t making enough money to justify the damage it caused to the slopes, which sounds odd but is the story I heard). We were guests of the hotel, but the rate would have been NOK 2790 for two nights for the three of us with breakfast in a family room (maximum 2 adults and 2 children). For an extra child the price is NOK 300 more. With just a two hour drive from Trondheim to Oppdal there was no need to leave so early; indeed we didn’t hit the road until about 1800. It was an easy journey and even with a couple of short breaks we got to Oppdal in just over two hours. The Skifer Hotel is right in the middle of town and impossible to miss. There are a number of car parking spaces in front of the building and a large car park at the rear with direct access to reception. Check-in was quick and we were soon on our way to our second floor room. After bringing in our gear from the car and unpacking it was time to eat. 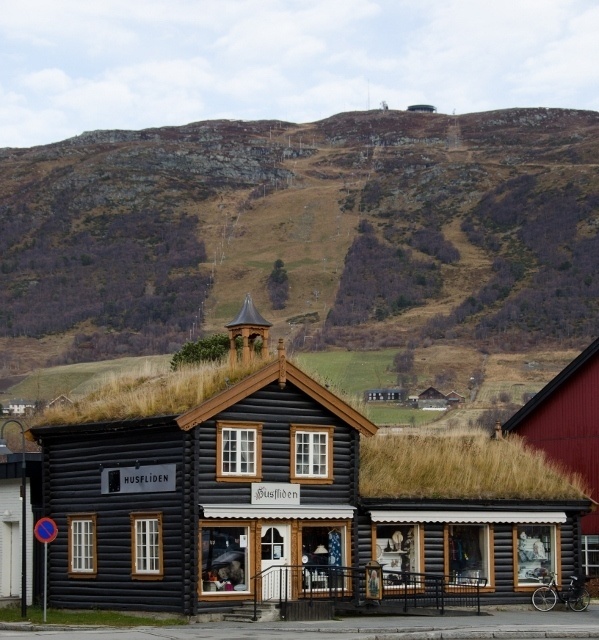 Your options are fairly limited in Oppdal; there are two hotel restaurants (this being one of them) a couple of pizza places and a number of cafes. We opted to test out the Skifer Hotel restaurant for our first night. We all chose the locally-sourced lamb served with creamed carrot, baked onions, mushrooms, salt-baked potatoes and a rosemarine sauce. Perfectly cooked and wonderfully tender, it was excellent together with an Italian red as recommended by our waitress. From the varied dessert menu we chose a ‘homemade Snickers’ (far better than one from a shop) while Rebecca had the home-made ice cream. The family room contains a large and very comfortable double bed – with a rather neat bed cover as you can see. I know these serve no purpose but at least it fit the alpine setting. 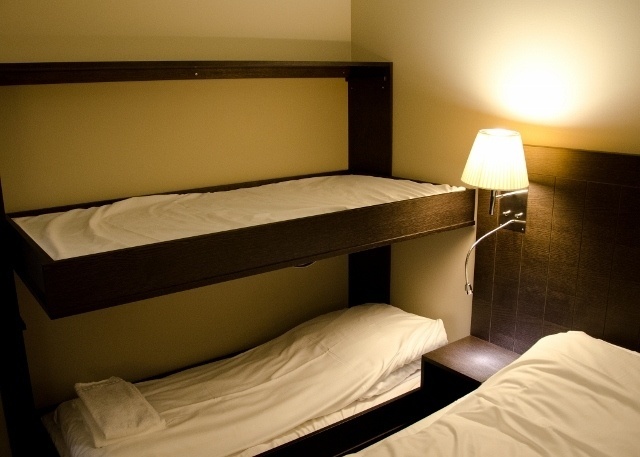 There was also a bunk bed with two good sized mattresses which folded down from the wall. We also had a flatscreen TV but the room was otherwise minimalist in its fittings; which is no bad thing. It’s better for the environment to dispense with a lot of the rather superfluous items often found in hotel rooms – but we’d have appreciated a minibar as we do like to indulge in a cold beer on arrival. A minibar is also handy if you need a little fridge space – we noticed we were not the only guests who resorted to hanging a shopping bag containing some food for the next day out of the window – most of the neighbours had found the same solution. There is free, high-speed wi-fi throughout the building which sets an example for other hotels who are holding back on this service. 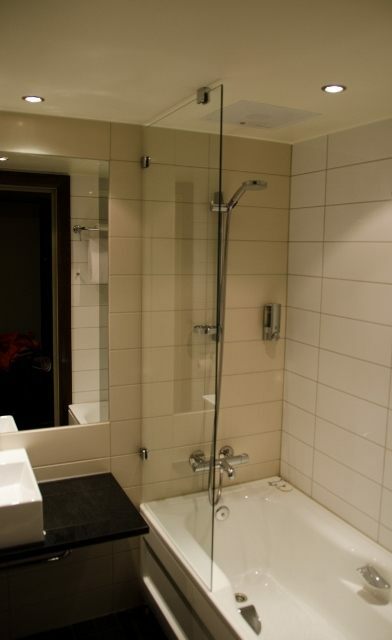 The bathroom had a bathtub with shower curtain and was small but well-designed. Soap was in dispensers both over the wash basin and the bath, which is another good green move. After a great night’s sleep we woke up to a crisp early winter Saturday morning. It was cold, perhaps a few degrees above zero, but the sun was out and the mountain air was fresh. Our first appointment for the day was at 1000 when we were to be picked up by the manager of a local activity provider, Opplev Oppdal. We had enough time to make the most of the excellent breakfast buffet, which was one of the bets we’ve had the pleasure of enjoying in Norway. Most tastes were catered for and there was a good selection of both hot and cold food. 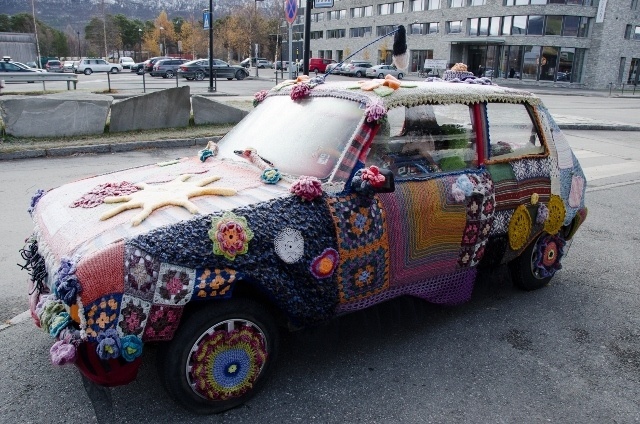 We had time to visit the local crafts shop (rather a sight in itself with its traditional grass roof) and check out the car outside – a cool way to show off the knitting skills of the experts who sell their wares inside. At ten we met Flemming who was driving the company car (a minibus) so we let him take us out to the adventure park (Villmarksleir) which is about a ten-minute drive from town. It occupies a large area of the forest on both banks of a river which they use for rafting in the summer. At the moment the park is set up for group activities only; in the future they may expand to be able to accomodate individual visitors as well. 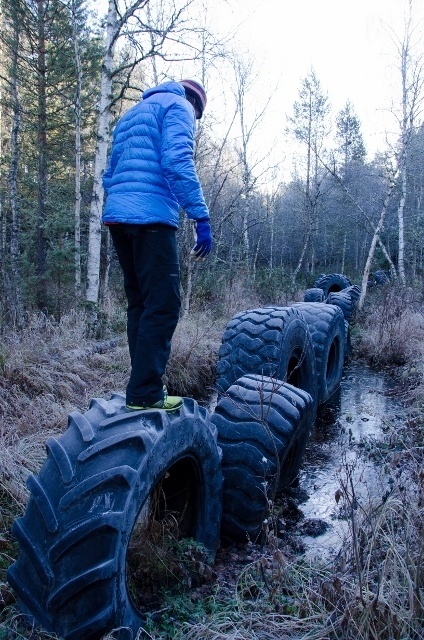 A trail in the forest connects different obstacles such as tyres to clamber over (rather tricker when covered in ice as they were for our visit) and more cerebral challenges involving puzzles and tower building. We also got to see the banqueting hall which was spectacular and would be a great place to have a birthday dinner or other such event. While I’ve never had any burning desire to try rafting the river setting is beautiful and who knows, I may just give it a go one day. We also had a look at the two ziplines crossing the water – at which point it became clear that those harnesses had a different purpose – we were going to have a go on both the wires. The benefit of having this kind of activity thrust upon you without warning is that there’s little time to back out. Naturally Rebecca was keen but Mari Anne had a few reservations. But we all went for it – the first wire over the gorge was a little steeper than the second one back but both times we felt secure and in some degree of control. 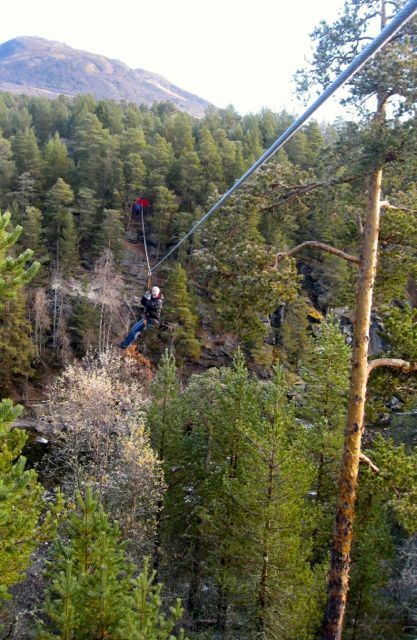 Of course it was great; the zipline we took back over the river was positioned in such a way that necessitated actually running and jumping off the cliffside to clear the rocks – I can tell you that felt very wrong but was very exhilarating! After a tour of the climbing park with its various towers we got lift back to the hotel and took it easy for an hour or so to allow our pulses to return to normal. The next activity on the list was more sedate – celebrating the hotel’s 2nd anniversary. Indeed the Skifer Hotel had opened at 2010 on the 20th of October and was laying on coffee, cake and excellent music courtesy of a local guitarist/singer in the lobby. It was a popular event drawing a lot of the locals as well as us guests. After this it was time to visit the curling hall to see a group being given an introductory course in this rather odd sport which appears to combine bowls with frantic brushing. It was enough of a challenge for the participants to remain upright while sending the stones down the ice, let alone worry about aiming. Still, they probably got better during the 2-hour training session – and we didn’t even try so can hardly criticize. 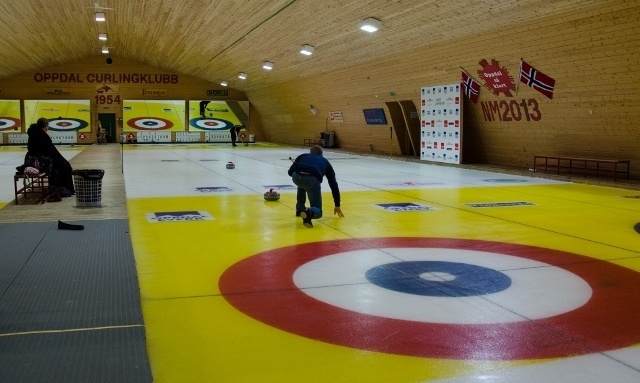 This also seemed like a fun group activity and Oppdal is in fact the cradle of the Norwegian curling scene – nearly ten per cent of the resident population are involved at some level. But time was against us as we had to make it to the public pool before it closed at 1800 and have enough time there to have fun. The pool is located in the same building as the cinema (which was showing back-to-back horror movies as part of a film festival) and just a few minutes from the hotel. There is a water slide, three pools and sauna facilities, and the whole place is modern and well maintained. Of course a hotel pool would have been free (usually) but they are generally very small; it’s well worth spending a couple of hours here. We stayed until they closed then got ready for dinner. The plan was to try the Perrongen restaurant at the other large hotel in Oppdal a few hundred metres from the Skifer, but we got there to find that the restaurant was closed after the summer season, so we returned to eat at our hotel once more. This was not a problem, as the food once again was excellent and there was a 20% discount in honour of the 2 year anniversary. On that basis it would be worth returning in 8 years for a free meal but I can’t guarantee they’ll keep this system going so long…we were luck to get a table as the place was full but they squeezed us in so we could enjoy veal with mushrooms, spring onion salad, creamed celery, potato fondant and port sauce with a home-made fruit yoghurt dessert to follow. 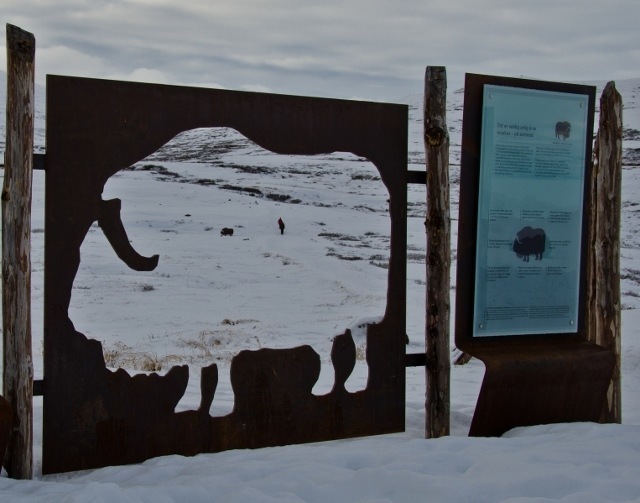 When we woke on Sunday it was a little overcast but we had decided that no matter what we would drive to Dovre to walk up to the new Viewpoint Snøhetta which had received so much praise. We packed our gear together and headed down for another feast. 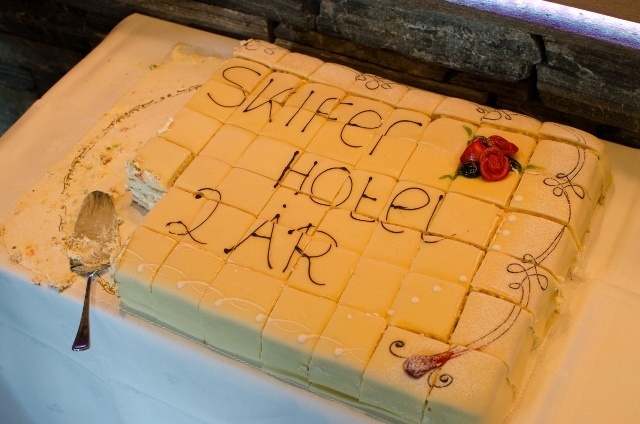 The Skifer Hotel is part of the Rica chain which is really making a name for itself with its award-winning hotel breakfasts – and from our experience they are consistently excellent, making good use of local ingredients and specialities. It was with a slightly heavy heart that we checked out, but we’ll definitely be back. 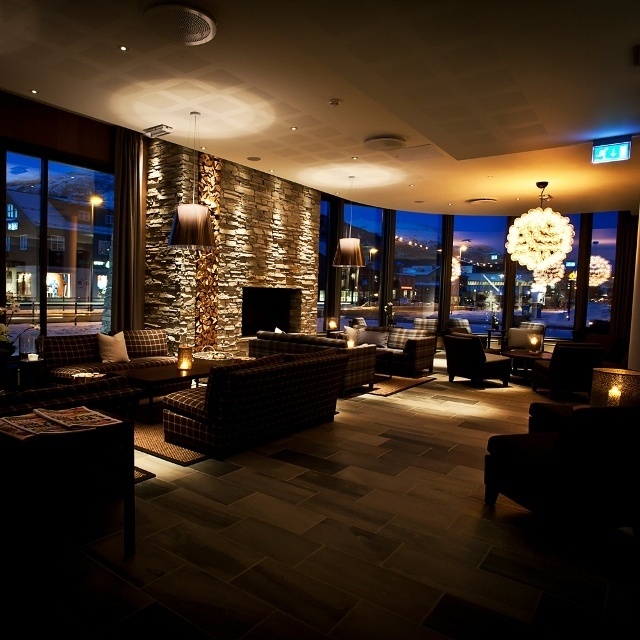 Winter is just around the corner and the hotel would make a perfect base for skiing in Oppdal. There is a large ski storage room in the basement of the hotel and warming up by the fire in the bar area would be a great end to a day on the slopes. 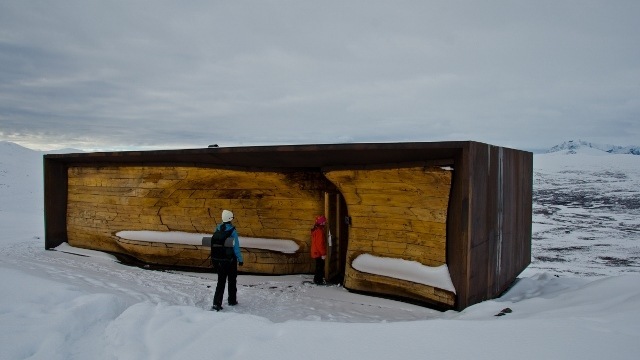 A rather unique attraction, Viewpoint Snøhetta is located about 45 minutes drive south of Oppdal at Hjerkinn, not far from Dombås on the road to Oslo. 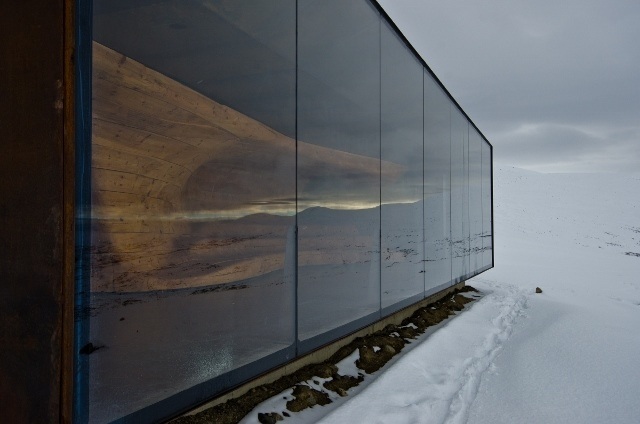 It is essentially a cabin in the mountains overlooking the peak of Snøhetta, which also gives its name to the architectural firm that designed it – and is also famous for the Oslo Opera House. About half an hour out of Oppdal we were greeted by a layer of snow about a foot deep; the road was clear but when we turned off the main E6 it soon became clear that we would not be able to drive all the way to the car park from which the trail starts since we still had summer tyres on the car. We found a place to leave the car and walked the rest of the way. We’d already been told it was unlikely we’d see any but it’s good to know when to start running. The trail up to the viewpoint is about 1500m in length and is adapted so that wheelchair users can make the journey too – although not in the snow. It’s a pleasant walk up and on reaching the summit the cabin appears on the edge of the mountaintop. 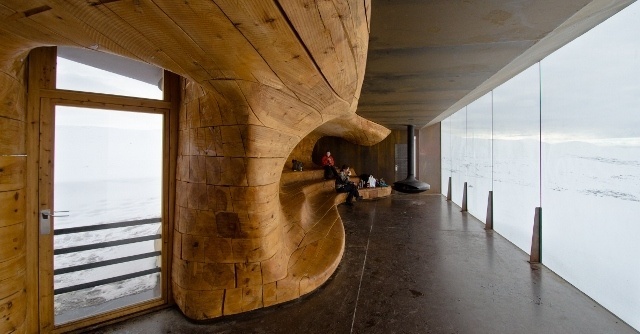 It’s a spectacular construction of mainly wood and glass (no nails, screws or glue used – only wood plugs) affording stunning views. You can warm yourself by the fire (bring a little wood) and sip your coffee while contemplating the Norwegian landscape. It would have been even better on a clear day but since the cabin closes at the end of October we were glad to have the chance to visit even if the conditions weren’t perfect. Make sure you stop here if you are on the road between Oslo and Trondheim. 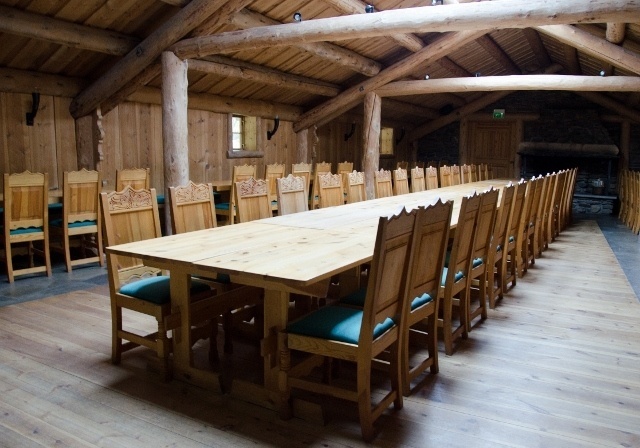 As you’ll have gathered by now we had a great time at the Skifer Hotel and a weekend in Oppdal is another good alternative to a city break. If you are based in Trondheim or are driving north from Oslo then you shouldn’t think twice about staying here for a few days. There’s enough to do for the whole family both summer and winter (and as we found, even between seasons) and we look forward to trying out the pistes in a few months time. We stayed as guests of the Skifer Hotel but as always, the opinions on Grown-up Travel Guide are our own – be they positive or negative.